Lawn grubs can be a pesky pest to have in your lawn. Why can they be so problematic? Well, they eat the grassroots, leaving your yard a brown mess, and they attract bigger and other pests to your lawn who come to eat them. Having a few grubs isn’t a problem and might actually be healthy for your lawn, but how many grubs are too many and what steps can you and your lawn care professional take to make sure they go away for good. We’ll focus on how to handle grubs in your lawn in this article so that you can handle those nasty grubs once and for all. Grubs are the larvae of beetles, particularly Japanese beetles. So, if you see Japanese beetles in your trees and dead patches of grass in your lawn, chances are, you’ve got grubs. They’re shaped like the letter “c” and look similar to caterpillars. They are usually white with hard, dark heads. Grubs have six legs which are all grouped under its head. Where would you find grubs? Grubs like moist lawns. They can be found in areas with well-watered soil. They can also be found in sunny sections of the yard and near places where you’ve seen Japanese beetles. If you have patchy, brown areas in your lawn, lift them up. If the Earth comes up easily, like carpet, you’ll most likely see grubs beneath, eating away. How to determine if you have a grub problem? Well, the brown patches are a dead giveaway that you have more than a few grubs…but how many is too many? Just a few grubs, according to Cornell University, aren’t a problem. If you have 0-5 per square foot, then it’s not an issue. If you have 6-9 grubs per square foot, then you might want to consider treating your lawn. This is especially true if raccoons or other predators are digging up your lawn to get at the grubs. Regardless, with 10 grubs or more per square foot, you need to treat. This many grubs will cause damage to your lawn if they haven’t already. How do I treat grub worms in my lawn? 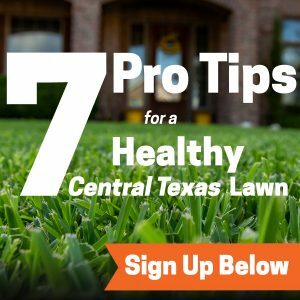 Well, once you’ve detected that you have sufficient grubs in your lawn to need treatment, then you’ll want to call a lawn care professional to treat them. It’s the best and safest way to get your lawn back on track as quickly and as efficiently as possible. Of course, the best time of year to treat grubs is in late summer or early fall when they are still small and close to the surface. It’s important to note that grubs are less susceptible to treatment in spring because they are larger and not feeding any longer. They are getting ready to turn into beetles. To treat the grub worms, your lawn care professional will most likely mow the lawn first. If you have thatch, they’ll dethatch the area with it. Your lawn care professional can use a variety of treatments, some of them are insecticides. They will make an even application and then water thoroughly a day or so afterward to make sure the water brings the product down into the lawn where they generate from. We use pet, pollinator and kid-friendly treatments to get rid of grubs while protecting your environment. Contact our locally owned crew, Emerald Lawns, today at 512-990-2199. No matter the time of year, there are things that can be done. What Is Grub Worm Control?